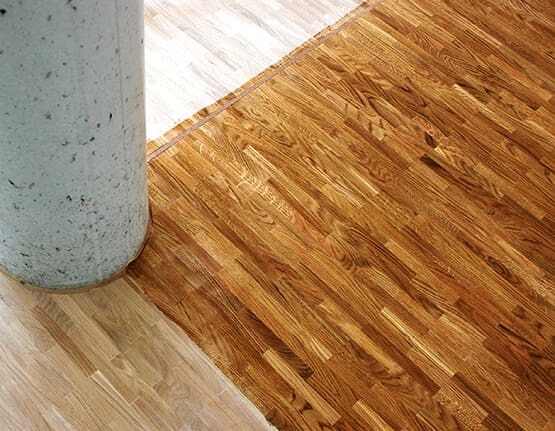 “The tender called for a 2K oil to restore the wood floors”, parquet layer Oliver Lenke reports. “It was clear to us that OLI-NATURA HS Hard Wax Oil represented the professional choice for 2K oil.” But before the floors could be refinished, the substrate required preparation. After several stages of sanding, the maple was filled with OLI-AQUA FIX FILL I joint filler and grinding flour. The installers then blended the OLI-NATURA HS Hard Wax Oil with the OLI-NATURA hardener in a 10:1 ratio. The finished blend was then applied by spatula at 30 g per square meters and massaged in with a white pad. “In this case, having just sixty minutes to process it while still wet was a challenge given the large area.” After just an hour, the workers then applied a second coat at just 10 g per square meters and then have the surface its final finish by polishing with a felt pad on a single-disc machine. The surface now has a look and feel that stuns all who see and touch it. While the oil preserves the wood from within, the wax forms a highly resistant surface film. 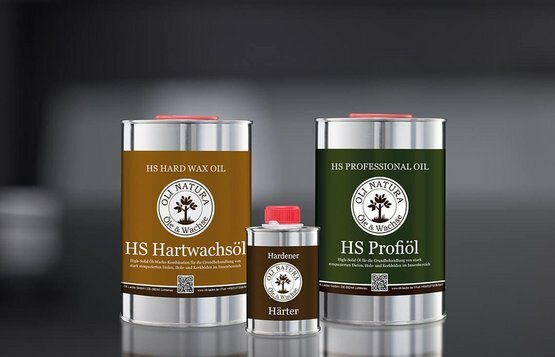 By adding the hardener, the chemical and mechanical resistance of the hard wax oil is increased and its hardening period is reduced to just 24 hours, making the floors fully usable within just one day. The surface is particularly robust, easy to care for, and naturally beautiful. 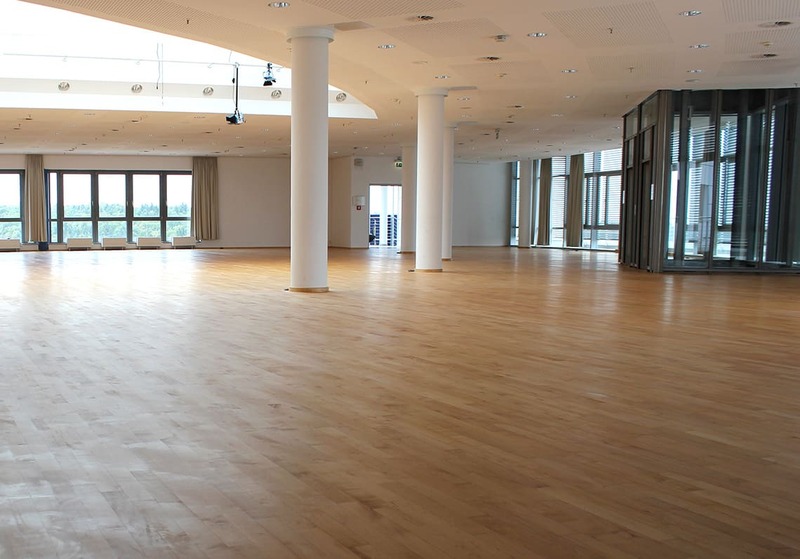 At the same time, the floor breathes, creates an outstanding interior, and helps visitors to fair Erfurt relax and rejuvenate. Service description: 700 m² Sand the oiled maple stock with graduated grain, completely fill, regrind, vacuum and treat with »OLI-NATURA HS Hard Wax Oil 2C«.